‘Be Well’ is designed to enhance your health and well-being and assist you in your healing. 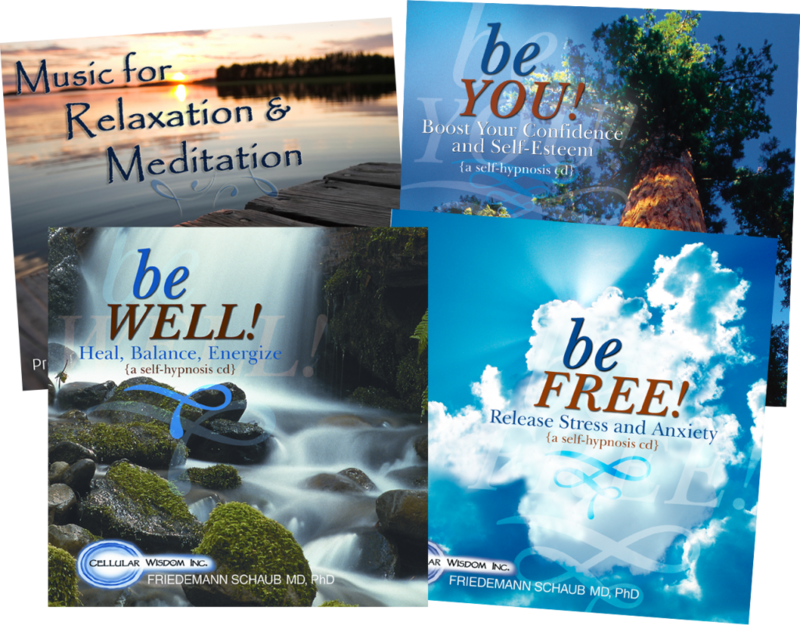 Using this program allows you to reclaim and access your unlimited potential to heal and change and gives you an opportunity to bring yourself back into inner peace and harmony just by listening and relaxing. The powerful combination of hypnotic suggestions and deeply relaxing music works on all levels and is ideal for anyone, who is dealing with physical, mental or emotional challenges or is just seeking more energy and balance in their lives. We all know, that confidence is extremely important for success, health and well-being, whereas low self-esteem often results in negative thoughts, low energy and even depression. The program on this CD offers a powerful tool to help you to improve your self-esteem, gaining more and more confidence in yourself and your abilities. Increased self-worth not only makes you enjoy life more fully, it also allows you to attract and recognize more opportunities in your life. As your confidence increases and your faith in your abilities improves, you will notice many positive shifts in your inner and outer world. 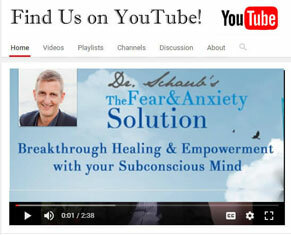 Do you suffer from anxiety, stress, panic or worry? Are stress and anxiety persistent, overwhelming and interfere with your daily life? Stress and anxiety have been called “the new epidemic” and are connected to a large variety of emotional and physical problems. It has been shown, that regular relaxation through hypnosis is a very powerful way to inhibit the production of the hormones that causes stress and anxiety. The self-hypnosis program on this CD is designed to help you to completely relax, release stored stress and anxiety and to become in control of your emotions. Did you ever want to let go of all tension and stress? To not have to do or think about anything but simply to relax? Or do you want to deepen your meditation practice? This CD is for you. The music, which plays in the background of Dr. Schaub’s self-hypnosis CDs BE FREE, BE YOU and BE WELL, is specifically designed to gently change your brain activity into a state of calmness, rest and peace. Discover how easy it is to relax. Each of the 3 tracks is 22 minutes long and will soothe and refresh your body, mind and spirit.